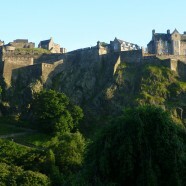 The STFC Network, GeoRepNet, will hold its third conference in Edinburgh from 12-15 October 2015, and will be focussed on exploring all aspects of high technology transfer into geological repositories and other deep subsurface facilities. Talks in all areas of high technology are welcome, especially in STFC areas such as astronomy, particle physics and planetary sciences instrumentation. Of particular interest are examples of how technology can be transferred from these areas into the monitoring and characterisation of deep subsurface facilities and geological repositories. This meeting also aims to create a legacy for GeoRepNet by generating an international community focussed on understanding processes in geological repositories, and by forming new groups working on proposals. The disposal of waste, including nuclear waste (from the nuclear power industry and other nuclear applications) and carbon dioxide (to reduce carbon dioxide emissions and associated greenhouse warming) constitutes one of the major environmental technical challenges of the 21st Century and has great importance on the national and international level. By funding and bringing together researchers involved in high technology transfer, GeoRepNet seeks to enhance the links between high technology and subsurface exploration. There is no registration fee and registrants selected for talks will have travel and accommodation costs paid. Talks and posters are welcome. Registration deadline is September 15, 2015.